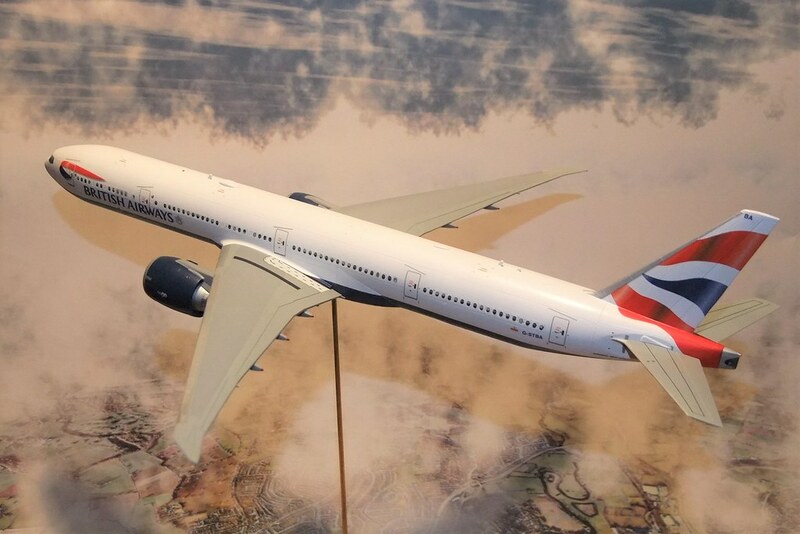 Here's the big long widebody knockwurst I have been building alongside the other 777-200. 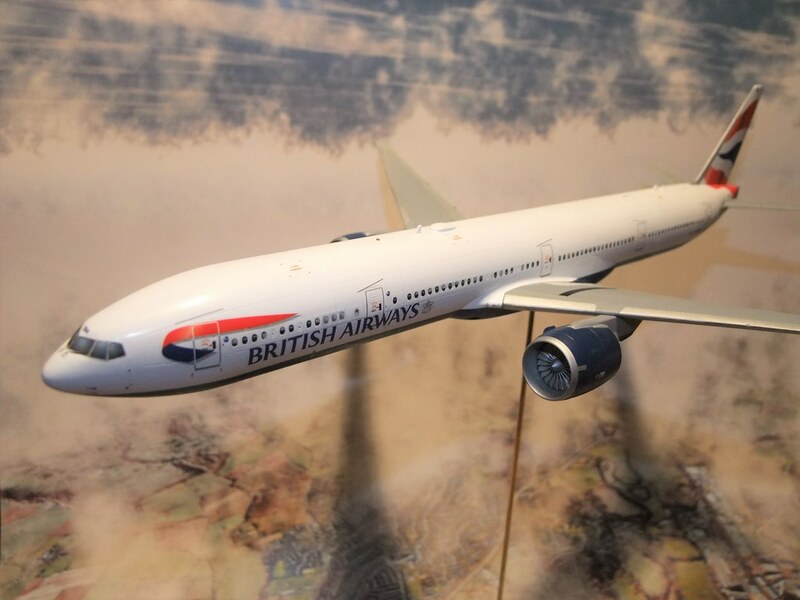 Even in 1/200, she is big - longer than the 747-400 of the same scale and wears a combination of 26Decals and F-Decals. 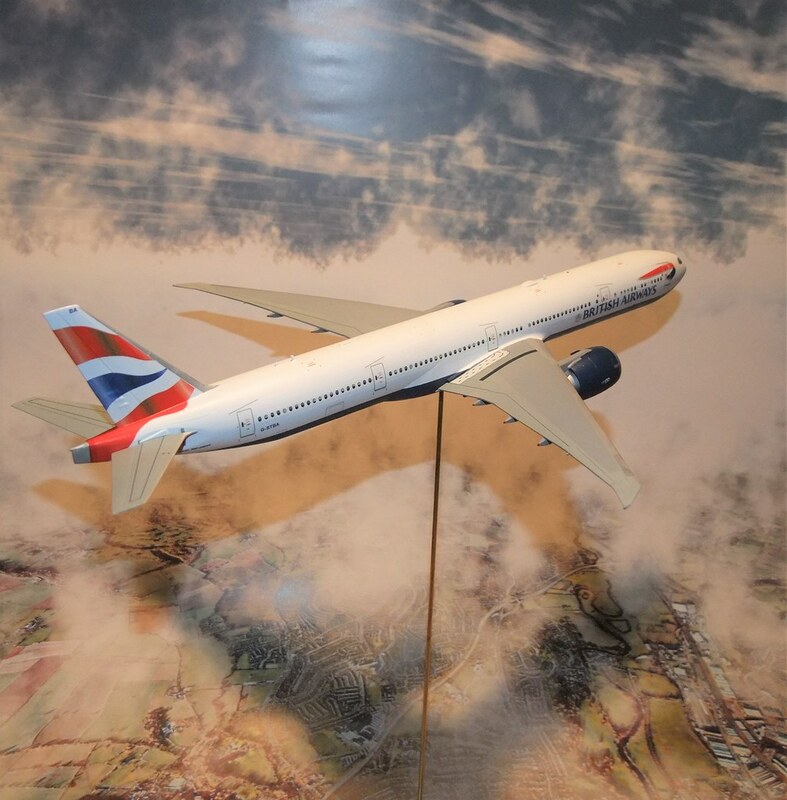 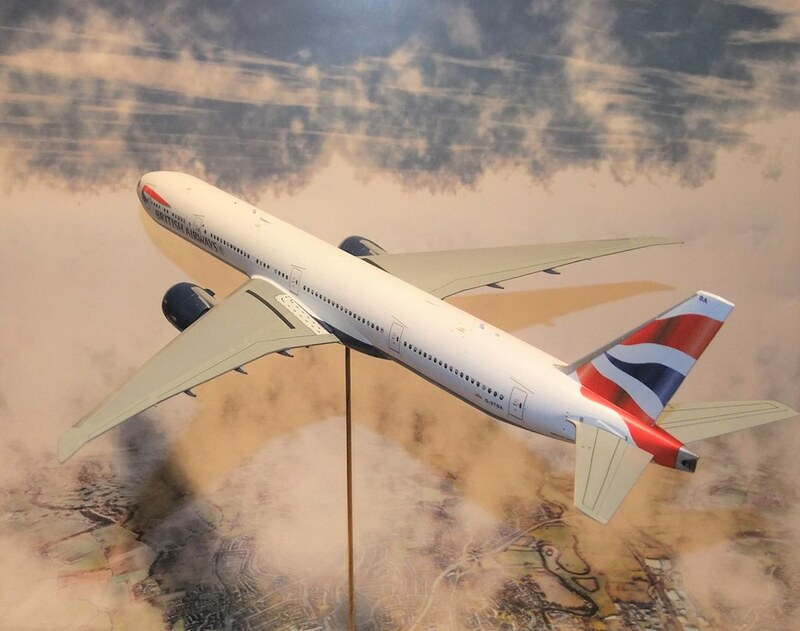 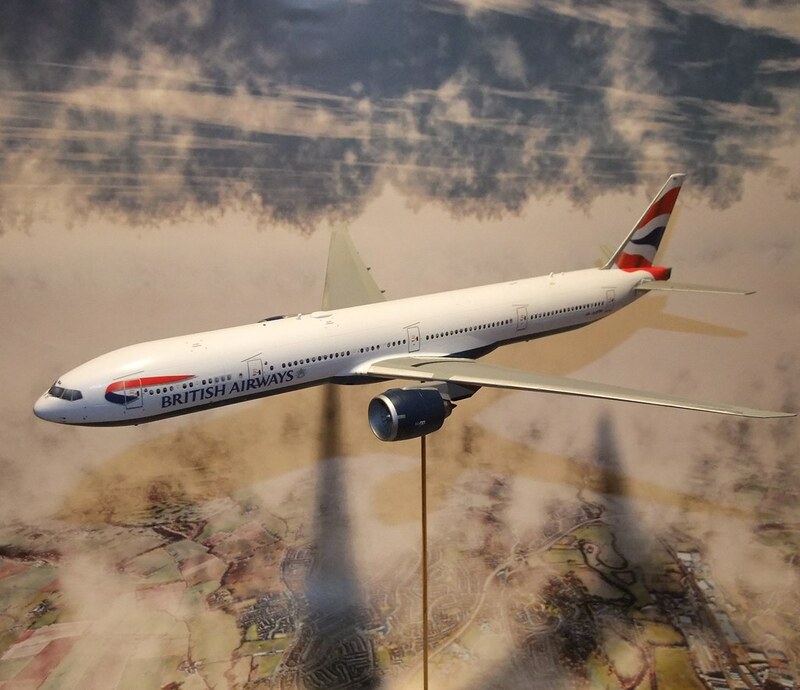 This is British Airways existing Chatham Livery painted by airbrush using a combination of Tamiya, Humbrol, Alcad II and Ammo paints. Nice&clean finish on this one!